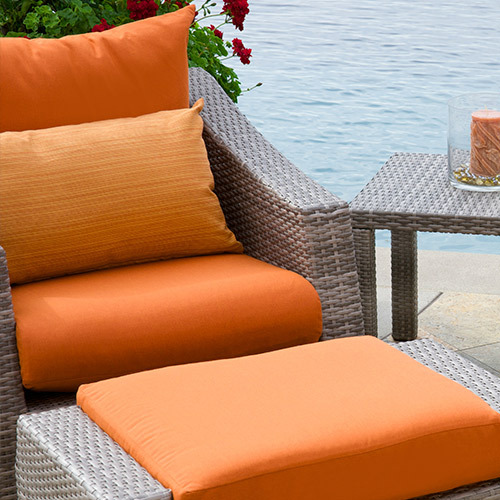 Ideal for outdoor entertaining, this Cannes 5pc Outdoor Table Chat Set seats up to four guests with comfortable, deep seating perfect for enjoying each other's company. 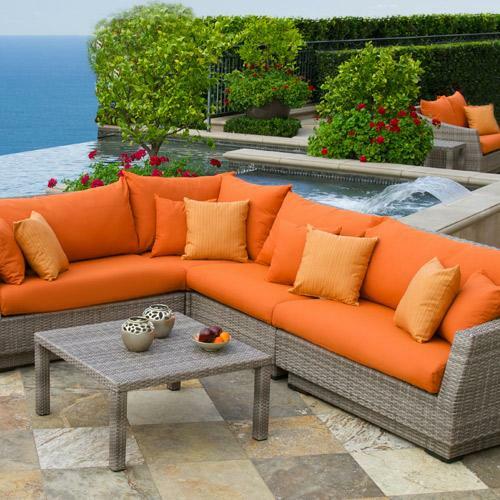 Beautiful pieces are made of durable materials which are built to last, ensuring years of enjoyment without ever leaving your own home. 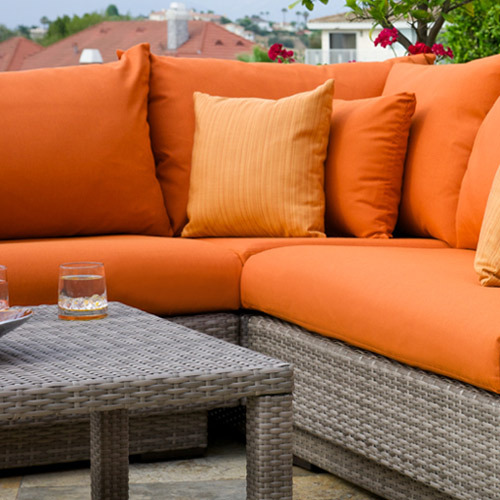 Elegant, hand-woven SolarFast® wicker in a cool Gray finish characterizes the Cannes Collection to create an elevated outdoor living space. 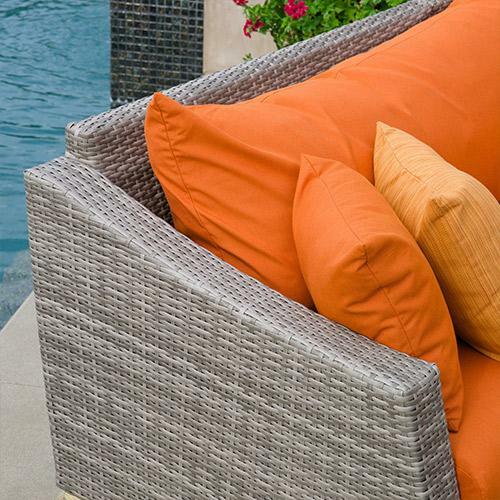 Kit includes four outdoor club chairs, four accent lumbar pillows, and a 33 x 33 in. coffee table.